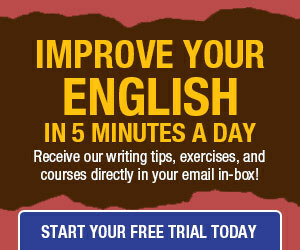 display a set of terms, phrases, or statements clearly. prevent reader fatigue or confusion in the form of a long run-in list in a sentence. avoid repetition by following an introductory phrase with “fill-in-the-blank” list items. If each of the items in a bullet list completes a sentence begun with an introductory phrase, the first letter of the first word of each item should be lowercase, and the last word should be followed by terminal punctuation (a period, question mark, or exclamation point), as in the preceding bullet list. The format in the previous list, however, is not recommended for items consisting of less than a few words, unless listing multiple items as a run-in list in a sentence would produce a ponderously long sentence. If all list items are complete sentences, they should follow an introductory statement ending with a colon, as in this bullet list. If all list items are incomplete sentences, they can follow an open introductory phrase or one ending with a colon; in the latter case, the first letter of the first word in each item should be uppercase. The first letter of the first word of each complete sentence should be uppercase, and complete sentences should include terminal punctuation. All items in a list should have the same format — a word a phrase, or a complete sentence — and should follow the same grammatical structure. If every item in a list begins with the same word or phrase, try to incorporate the word or phrase into the introductory phrase or statement, then delete it from the list items. 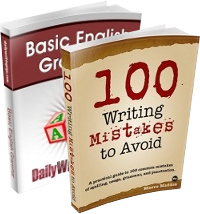 Avoid creating a bullet list in which one or more items consist of very long sentence or more than one sentence; if this is the case, it’s better to use traditional sentence form. a period following the last item. These tips are fine for formatting bullet lists. But writers should take a step back before constructing such a list and ask themselves whether the list is warranted. Too often I find that writers use such lists to toss out their own random thoughts without taking the time to formulate an articulate, coherent statement. Good tips for formatting! The examples are quite useful. Regarding punctuation: I follow the principle of punctuating bulleted lists and series as if they were written in sentence form, thus following the guidelines below. –If the introductory statement is an independent clause, follow it with a colon or a period. The statement is introducing a list. –If the introductory statement is not an independent clause, don’t follow it with a colon or period. The statement is introducing a series. –Put commas or semicolons after the items, except the last, and put a period at the end. This topic is very useful. A question (or, perhaps, a minor correction): in the penultimate example, are the first words in the list items capitalized intentionally or erroneously? At first glance, I agree with you that lowercasing the first word in each item in the next-to-last bullet list makes sense, just as the first word in an incomplete sentence that follows a colon is not capitalized. But this is the style recommended in The Chicago Manual of Style, and I think I understand the rationale: In the bullet list preceding the one in question, the one containing several phrasal nouns, capitalization of the first term would not be logical. But because the bullet list you refer to has a series of complete thoughts (albeit formed into incomplete sentences), it follows the same rule that applies to a series of incomplete sentences that follow a colon in regularly formatted text: In such a case, the first word of each incomplete sentence should be capitalized.